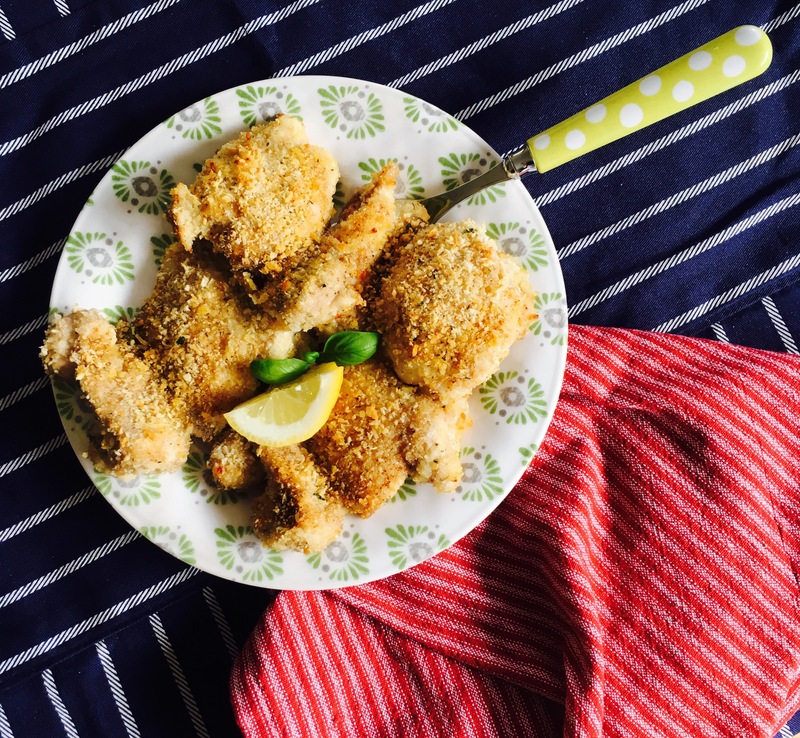 I’ve already shared my recipe for traditional Chicken Milanese (i.e. crumbed chicken breasts) but this is the low fat, “low” mess version. This is a quick cheat recipe and the bottom side of the chicken might be slightly soggy, however, they are still bloody delicious! Serve with my Melenzane alla parmigiana (Aubergine parmigiana) and a green salad or try my tomato salad.